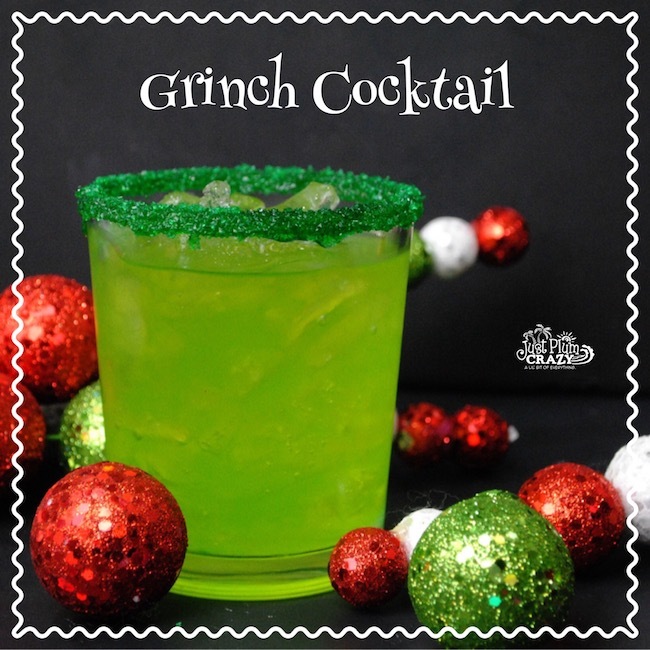 The Grinch Cocktail Recipe is brought to you by Just Plum Crazy. 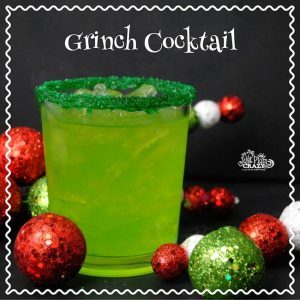 We just got done sharing the kids Grinch Ice Cream Float recipe so how about a Grinch Cocktail for the adults. 2. Add green sanding sugar to a plate, set to the side. 4. Set glasses to the side. 5. Add ice to the glass. 6. In a cocktail shaker add your liquors and pineapple juice. 7. 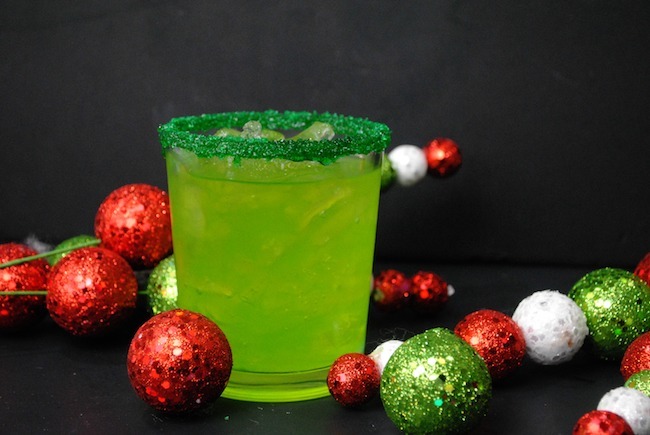 Pour your mix into your glass. 8. Top off with Ginger Ale. Add green sanding sugar to a plate, set to the side. 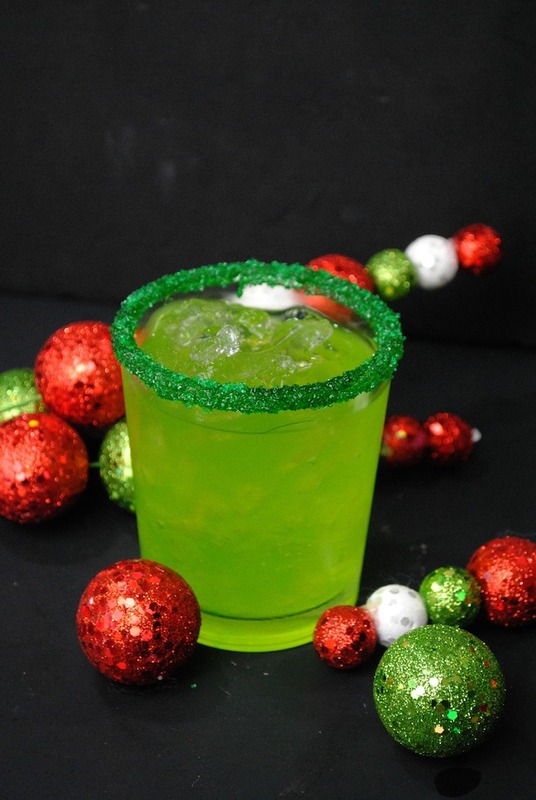 Then roll rim of the glasses in the simple syrup then into the green sanding sugar. Set glasses to the side. In a cocktail shaker add your liquors and pineapple juice. 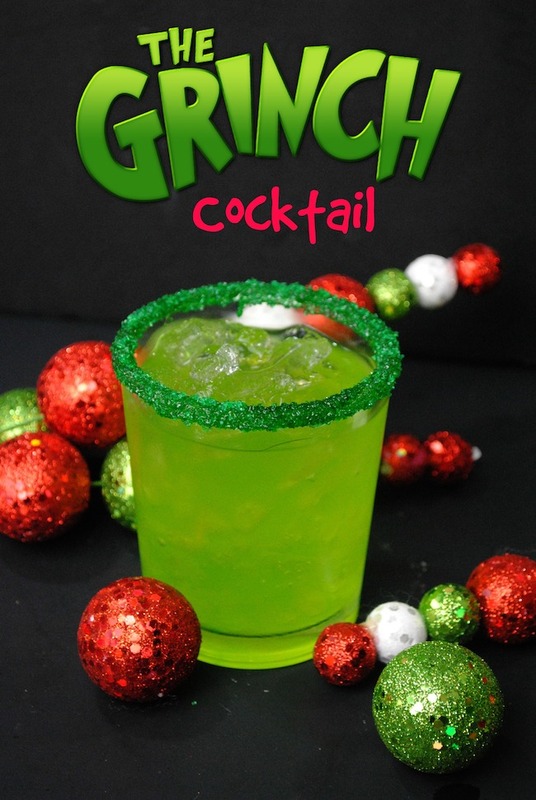 Pour your mix into your glass.